This webinar teaches you how to perform automated security tests of your network, how to validate new hardware/firmware releases and how to achieve certified and secure end-user broadband connections. You will also learn more about the Source Address Validation Threat Scope (RFC 6959) and the Secure End-User Connection (SEC) industry standards. Topics covered: IP/MAC spoofing, drop fragmented packets, secure management protocols, ICMP redirect, L2 isolation, broadcast loop detection, DHCP starvation, multicast isolation/broadcast, broadcast flooding, CPU stress/DHCP, STP, ARP poisoning, rogue DHCP, IGMP join/leave, and more. This webinar discusses the potential pitfalls when cable operators begin upgrading their networks for IP video delivery. Delivering IPTV is more economical than cable TV and offers a higher quality of service to end customers, but a key challenge is to maintain an excellent customer experience during the transition period in order to deliver an increasing bottom line. This webinar will give a structured and cost-efficient approach to assuring network and service quality for IPTV and Cable TV. This webinar will give you hands-on experience of an SDN Network based on Open vSwitches (OVS), managed both manually as well as by an OpenDaylight (ODL) controller. Using the right quality assessment methodologies and tools is necessary in order to understand how the network performs, as well as to deliver expected service quality. The webinar will show live data plane tests to gain insight into how traffic flows are handled by the SDN network. Real world comparison of IPv4 and IPv6 between international sites. This webinar will give you a hands-on overview of how to validate and test your IPv6 network. Presenter is Marcus Jonsson, VP Product Management and co-founder at Netrounds. You will learn how to measure network performance end-to-end for either IPv4 or IPv6, or for both at the same time using a so called dual stack. This will allow you to benchmark IPv4 vs IPv6 in terms of stability and quality as well as troubleshoot remotely and efficiently. 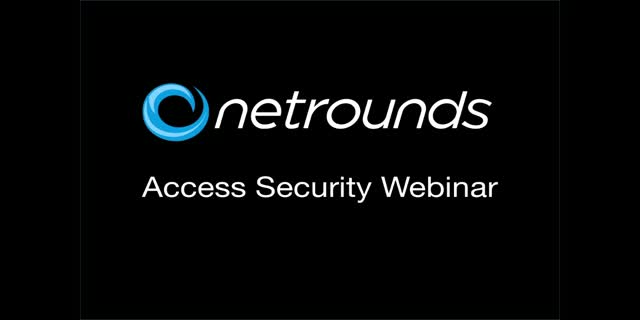 Various webinars around Netrounds and network testing and monitoring.